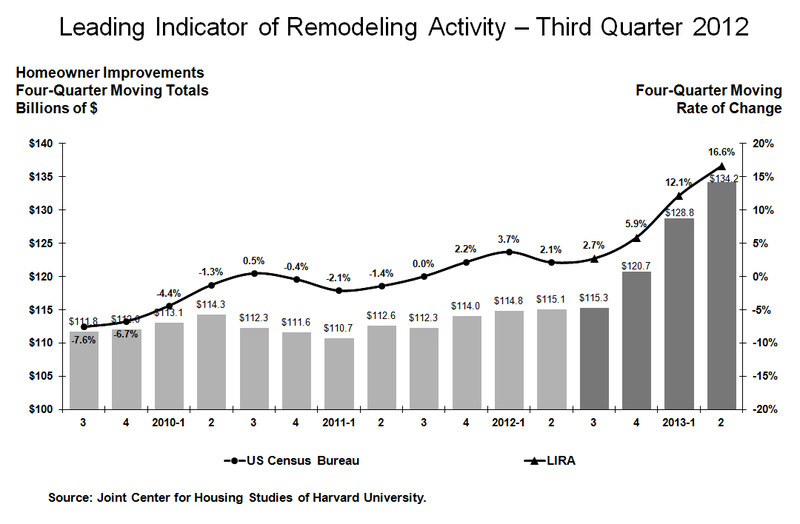 While analysts argue whether 2012 was in fact the turnaround year for home sales, it’s clear that home remodeling is gaining traction. Low to no maintenance. New home sales are gradually picking up, which means existing homes face increasing competition. Polish your projects with low- or no-maintenance finishes that mirror the look of a brand-new home (and be sure to list low-maintenance features in your property description). This will especially appeal to buyers who have been renting and are accustomed to being off-the-hook for home maintenance. Choose easy-to-clean finishes—washable paint, counters made of impervious solid surface materials or sealed stone, or even laminate floors in basements and playrooms. Avoid notoriously high-maintenance finishes, such as tiled countertops, clear glass shower surrounds, and shiny finishes in high-traffic areas. Popular, not exotic, landscaping. The 2012 National Gardening survey (sponsored by the National Gardening Association) found that half of homeowners buy their shrubs and flowers from the local home improvement superstore. Translation: Plant the familiar. If buyers don’t recognize the shrubs, trees, and flowers used for permanent plantings or seasonal accents, they might assume the plants are persnickety divas. Even if buyers admire the look, the prospect of dying foliage could put them off. Foster flexibility. With average home size stalled around 2,000 square feet and buyers unsure of how long they’ll be owning their houses (according to the latest research from the National Association of Realtors), the wise choice is to configure projects so that they support plenty of options. For example, include a closet in a den to count it as a bedroom in a listing. Put in extra wiring in every room for digital connections and recharging stations. Small finishing touches speak to liveablity and organization, and they will signal to buyers that you’ve paid equal attention to critical infrastructure. Why Is The Home Depot So Crowded?